Dennis Harraka, a Certified Civil Trial Attorney, was a co-founder of Ferrara, Turitz, Harraka & Goldberg in 1990 and practiced with the firm for 23 years until it merged with Winne Banta in 2013. 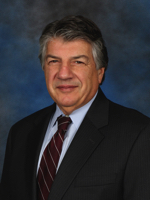 He has focused for more than 40 years on litigation, primarily in the areas of commercial litigation, family litigation, criminal law, chancery, probate and personal injury litigation. Dennis is certified as a Rule 1:40 mediator. Throughout his career, Dennis served as prosecutor in several jurisdictions in New Jersey. He prosecuted cases for the Borough of Oakland, the Township of Mahwah the Borough of Franklin Lakes and the Borough of Hillsdale. Dennis is Judge of the Municipal Court of the Township of Mahwah. Dennis was recognized by (201) magazine as a top attorney for family law in Bergen County. He is a member of the Bergen County and New Jersey State Bar Associations.